Before entering parliament Richard was a Naval Officer and then a commercial lawyer. 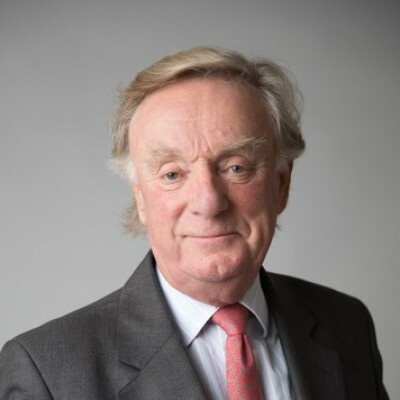 His long Parliamentary career began when he won Nottingham North in the early 80s before being elected the MP for Croydon South in 1992 where he was re-elected a further four times before standing down at the 2015 general election. He was Parliamentary Private Secretary to Michael Heseltine before becoming a government whip. After the Conservatives lost the 1997 election he held a number of front bench positions in opposition: in Local Government, Defence, and the Treasury before becoming shadow Secretary of State for the Environment. He was then appointed a member of the Intelligence and Security Committee with oversight of the Intelligence Agencies. It was his questioning of Tony Blair, on the floor of the House, that revealed the premise for the invasion of Iraq was exaggerated. In 2010 he became the first elected Chairman of parliament’s Foreign Affairs Select Committee. It was his report on Afghanistan which led the government to review its policy there. He was named Back Bencher of the year for this report. Further reports followed focussing primarily on the Middle East following the Arab uprising of 2010/11. He is now a Foreign Policy adviser, a keen yachtsman on the IOW and a lover of jazz.